Meet Ellen McCarthy, President of the Intelligence and National Security Alliance (INSA, www.insaonline.org), a non-partisan, public private organization for the U.S. intelligence and national security communities. As president she has led many initiatives supporting public policy and program development in areas that include cyber security, counterintelligence, homeland security, community organization, manpower and acquisition. Previously, McCarthy was the Director of the Human Capital Management Office (HCMO) and Acting Director of Security within the Office of the Under Secretary of Defense for Intelligence (OUSD I). In these positions she was responsible for growth of policies, programs and career development of civilian and military defense intelligence personnel within the Department of Defense (DoD). One of her major accomplishments as OUSD (I) was establishing development and utilization of the Defense Civilian Intelligence Personnel System (DCIPS). This system is a pay-for-performance personnel system for 47,000 DoD Intelligence Community Civilians. Another position that McCarthy has held along with her 20 years of service in the intelligence reform, policy and operations field was Director of Intelligence Operations, Strategy and Policy for the United States Coast Guard. Some of her accomplishments include repositioning the USCG intelligence program into the IC, as well as establishing new intelligence and law enforcement collection capabilities. Having a great deal of involvement with cyber security issues as the President of INSA, McCarthy is a strong advocate for public-private partnerships as a solution to cyber security threats. She also recently oversaw the development of an INSA white paper entitled “SMART Change: Lessons of the Past, Direction for the Future.” The paper laid out recommendations to policy makers for how to approach the intelligence community budget in the face of certain funding reductions. Under McCarthy’s guidance, INSA has grown from 95 corporate members in 2009, to over 150 today and continues expand connectivity between the public and private sector entities that make up our nation’s intelligence community. McCarthy is a graduate of the University of South Carolina and has a master’s degree in Public Policy from the University of Maryland. She lives with her husband and two children in Northern Virginia. “As a member of INSA’s Board, I have the opportunity to work closely with Ellen. 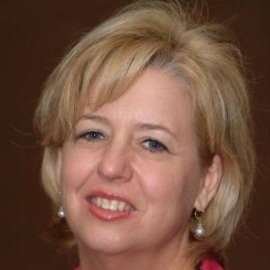 Much of the success of INSA today is due personally to Ellen, both for the hard work and countless hours she spends, and also for the superb staff she has attracted to INSA during her tenure as President.”-Bill Varner, President and COO of Mission, Cyber & Technology Solutions Group at ManTech International.